Blog: No Bank of Canada rate hike till 2016? 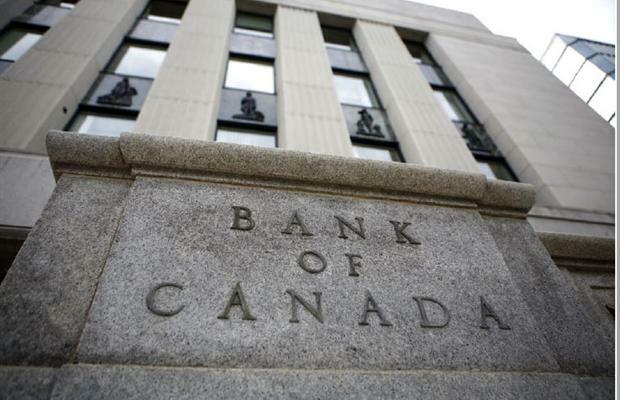 In the span of a week, two banks have pushed back their forecasts of a Bank of Canada rate hike to 2016. The latest one comes from Joshua Dennerlein, economist with the Bank of America Merrill Lynch. Mr. Dennerlein said he now predicts the Bank of Canada will hike its benchmark rate sometime in the first half of 2016, more than a year later from his earlier forecast of a hike in the fourth quarter of 2014. Most economists at the moment forecast a late 2014 or early 2015 rate hike, but 2016 is becoming an increasingly discussed target year. Last week, economists at Scotia bank pushed back their own target to 2016, saying a recent speech by senior deputy governor Tiff Macklem hinted the central bank was disappointed with recent economic trends. “The Bank of Canada probably now envisages spare capacity remaining into 2016,” Scotiabank said last week, referring to Canada’s actual economic capacity versus the level of production being seen right now. “Against the conventional thinking that the Bank of Canada would want to hike before spare capacity closes, we continue to think that very easy money will be required even as spare capacity shuts,” Scotiabank added. Mr. Dennerlein cited that data as well in pushing back his hike forecast. He also downgraded his outlook for Canadian economic growth in 2014, saying he now sees growth of 1.8% versus his earlier 2.2% call. Mr. Dennerlein said that his previous forecast had assumed a pickup in economic growth in the second half of 2014, but that he no longer sees that occurring. He also doesn’t expect the output gap to close in Canada until late 2016, keeping downward pressure on inflation. “The bottom line is that the Bank of Canada is a long way off from increasing its monetary policy rate,” he said.